Calling all S&R members! 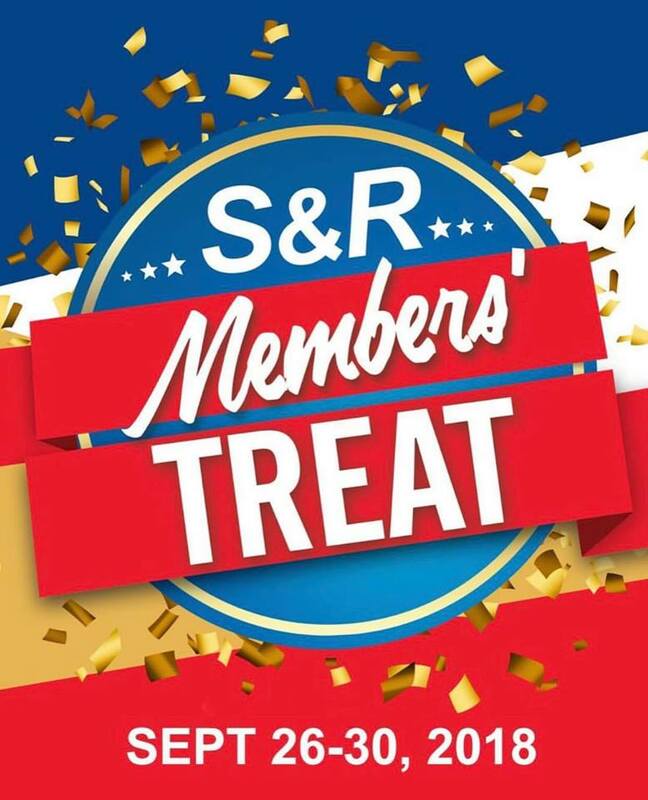 S&R Members' Treat Sale happens on September 26-30, 2018 in all S&R Warehouse nationwide! Get great discounts on select items, Buy1 Take1 Deals, and more!